ARE YOU BRAVE LIKE ME? This is by far and away, the best children’s book that I have read on the subject of a child dealing with Chronic Kidney Disease, and all the challenges that come with it. Ms. Baliker takes us inside the life and mind of a child, who goes from being a normal little girl to a desperate kidney patient overnight. Initially, when we first meet Maria, she is leading a pastoral, rural life on her father’s hobby farm. She led a happy life, exploring the woods, collecting stones, feathers and arrowheads. Her days are spent catching butterflies, reading Charlotte’s Web or Nancy Drew books, with her constant companion Teddy, her teddy bear and our narrator. Maria was leading the idyllic life of a young girl. This all changes when Maria’s little body begins to swell, and she is tired for such a young girl. 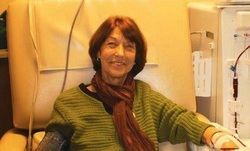 She is diagnosed after a series of traumatic tests with kidney disease, forcing her to take medication to keep her alive. She is made fun of by her other classmates, openly fears death, even questions her parents’ motives for throwing her, “a big birthday party.” Fortunately, the medicine begins to work, and the swelling goes down. Doug realizes she is frightened. He takes action. Her 21-year-old bigger brother makes a life-saving decision. This is a wonderful book that understands from a child’s point of view what a diagnosis of kidney disease means and how it affects life. It is truly written by someone who has been there and revisits the anxiety and elation of going from diagnosis to transplant. This is not only a great book for children suffering from kidney disease, but adults as well. It gives an unflinching view of a horrible childhood disease that most adults deal with poorly. The writing that makes this book unique, is that we get that reminder of trauma in childhood that goes above and beyond the normal scary things encountered. 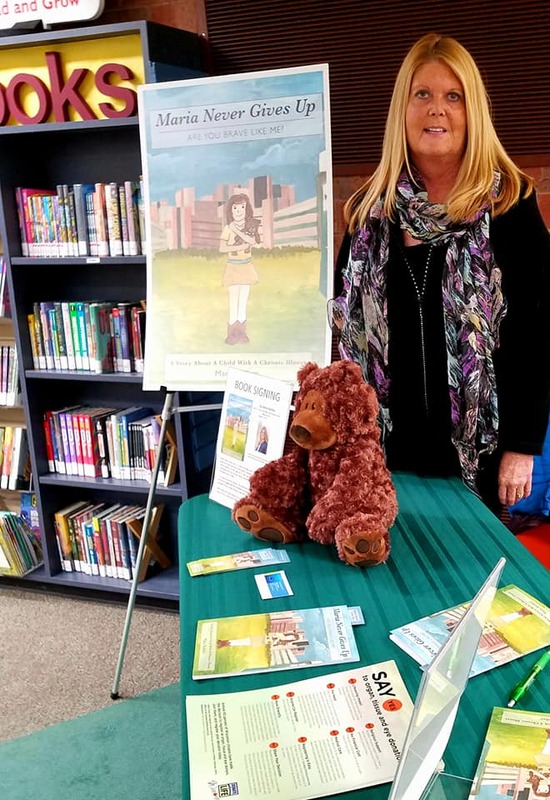 Mary Baliker has written a brilliant book about childhood illness, giving an unrelenting vision of pediatric kidney patients. We love little Maria and her extreme courage. Yes, Maria. I hope to be brave like you! How does one normally become aware of Polycystic Kidney Disease? In my case, I became aware through my Father. I’m 62 now. This is about the same age my Dad was when he first told me he had PKD. He had been to the Mayo Clinic for a checkup, and he reported to me that he had “kidney disease.” He went on, “let me put it this way, the doctors said I won’t live to be a hundred.” In the years that followed he became dizzy, had difficulty standing and maintaining his balance. In a very short time, he was on dialysis. By 1983, he was gone. He spent the last month of his life in the hospital, St. Margaret’s in Hammond, Indiana. He died a slow, lingering death of congestive heart failure and uremic poisoning all secondary to PKD. I learned that as a child, his entire family had been quarantined as a result of small pox, and almost all of my family on my Father’s side had died as a result of what was originally termed as “environmental PKD,” or due to a scarring of the kidneys that later turned into cysts and infection. One thing about this, I had a cousin Rich, who did not live with this group, and he too died from PKD related causes. He was in his 30’s when he died, he had just married and this came as quite a shock to the rest of us. They termed this, “Childhood PKD” and told the rest of us it was an aberration. When my Dad told of us diagnosis, I was in law school, when he died I was already working my second attorney job. Very shortly after his death, I went into the hospital in Valparaiso, Indiana, what was then called Porter Memorial, with chest pains. My PCP told me that my cysts were so large they could be seen on a plain x-ray. So much for the environmental/childhood theories. To say this came as a blow, was an understatement. I watch my Dad die and I felt my future was cast in cement. I did a lot of things wrong after that, but more importantly were the things I did that were right. I not had the local nephrologists my Dad had in NW Indiana, but also retained nephrologists at IU Health at Indiana University. I was put on a renal diet right way. I was given high blood pressure medication. I saw them every six months, where they did a urine test and a blood test on every visit. I was able to put dialysis for a long time, over 30 years. I was horribly frightened of dialysis because of what I saw when I sat with my Dad. But because I had followed medical advice and had excellent care, my dialysis was not unreasonably difficult. Others were not so lucky. I became a kidney advocate and this is what I plan to do the rest of my life. 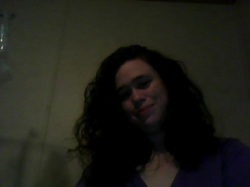 I like helping others , especially my friends with PKD! On April 27, 2016, I became the first Myers ever to have a kidney transplant at my lucky place, IU Health in Indianapolis. For PKD Awareness Day, I want to remind everyone to get tested. It is a simple and inexpensive blood and urine test that takes no time at all, but can make a world of difference. If PKD runs in your family, like mine, don’t hesitate to get checked out. 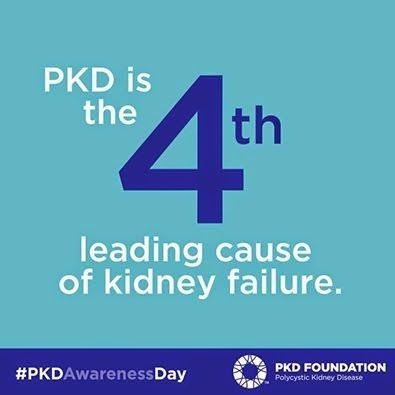 Be PKD aware! ​KidneyWorks Conference Concludes in D.C.
WASHINGTON, D.C. The KidneyWorks™ Initiative, a new research and policy collaboration aimed at helping Americans with Chronic Kidney Disease (CKD) who are not on dialysis maintain their jobs and slow their disease, was rolled out recently on Capitol Hill by the American Association of Kidney Patients (AAKP) and the Medical Education Institute (MEI). An estimated 10% of U.S. adults, more than 20 million Americans, have some degree of CKD, ranging from stages CKD I to CKD V (kidney failure). Millions of Americans afflicted with the earliest stages of kidney disease are currently in the labor force and successfully hold jobs long before the need for renal replacement therapy (dialysis or a kidney transplant) at CKD stage V.
AAKP and MEI jointly convened the KidneyWorks™ Initiative’s Consensus Conference at the Hall of States Building in Washington D.C. with over thirty national experts in the fields of patient engagement, renal care, health and insurance data mining, labor force data mining, Federal reimbursement, physical exercise, renal social work and vocational rehabilitation. During the conference, stakeholders identified issues and barriers that interfere with patient goals to stay healthy, remain engaged, continue working and paying taxes. Expert participants formulated strategies and recommendations to help patients slow progression of their disease, successfully manage symptoms, maintain incomes and standards of living and preserve their quality of life. The results of the KidneyWorks™ Initiative’s Consensus Conference will be a white paper to be issued in late 2016 that will present the experts’ findings and recommendations for Federal, non-profit and private sector policies and programs that will encourage patients to maintain their employment while they manage their illness. AAKP and MEI plan to present the white paper recommendations to the United States Congress as well to relevant representatives of the Presidential Transition Team for the President-Elect. The Consensus Conference was the first of several collaborative actions between AAKP and MEI. 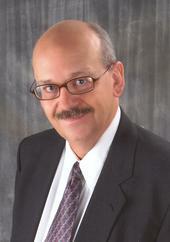 “Chronic kidney disease poses great challenges to patients who need and want to work, but they are not insurmountable and no patient should be encouraged to prematurely leave their job, put their aspirations on hold and go on disability unless it is an absolute medical necessity,” stated Paul T. Conway, president of the American Association of Kidney Patients. 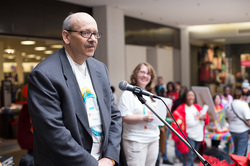 Conway is a former Chief of Staff of the U.S. Department of Labor and kidney transplant recipient who has managed kidney disease for over thirty-five years. “KidneyWorks has assembled an exceptionally talented national ‘dream team’ committed to identifying misperceptions and artificial barriers that keep kidney patients from staying engaged in their careers, and developing practical recommendations that will help us effect change and keep people working despite CKD,” stated Dori Schatell, MS, Executive Director of the Wisconsin-based MEI. Working with kidney disease can be challenging and symptoms at earlier stages can include fatigue, headaches, nausea, muscle cramps, shortness of breath, and problems sleeping. All of these can interfere with work, but symptoms are often treatable. Having a job that provides an employer group health plan or enough income to purchase a private health plan will help ensure that CKD patients who desperately need preventive care will receive it—and will help them stay active and productive. Participant experts represented some of the most influential Federal, professional and non-profit and private sector stakeholders directly involved in long-term kidney patient health and employment-related issues. At the event, AAKP and MEI expressed their appreciation to the sponsors of the KidneyWorks™ Initiative’s Consensus Conference including Baxter International Inc.; DaVita, Inc.; Dialysis Clinic, Inc.; Fresenius Kidney Care; National Renal Administrators Association; Northwest Kidney Centers; Renal Medicine Foundation; and the former ESRD New York Network. Founded in 1969, AAKP is the largest and oldest independent kidney patient organization in America and is governed by a patient-majority Board of Directors. AAKP conducts national education programs designed to better inform kidney patients, care-givers and policy-makers about the true impacts of kidney disease, prevention efforts and treatment methods. AAKP executes a national advocacy strategy, in conjunction with allied kidney organizations, designed to insert the patient voice into proposed policies, research efforts and care deliberations before the Executive Branch and the U.S. Congress so that patient interests are fully represented. Founded in 1993, MEI is a national 501(c)(3) non-profit organization dedicated to helping people with chronic diseases learn to manage and improve their health, and a focus on chronic kidney disease. MEI fulfills its mission by conducting research, developing evidence-based educational materials for consumers and health professionals, and advocating for patient-centered policies. Tax-deductible contributions can be made through MEI's website, www.meiresearch.org. Social media is a fun and interesting way to communicate. It is also a great tool for raising awareness for kidney disease! Why use social media? It is one of the most authentic ways to communicate to your legislators. Additionally, it is also a great way to amplify your message. During an average 8 hour day at a kidney table, I might see 50 people. Over the same period of time on social media, I reach over 10,000 people, sometimes as many as 100,000 persons in a week! Most elected officials use multiple social media accounts, including Facebook, Instagram, LinkedIn, and Twitter. The form and content of communication is only limited by your imagination. Many kidney organizations have public policy action pages to help you advocate and shape public policy, like this one from the National Kidney Foundation, that also allow you to “tell your story” to your elected officials. There are subtle differences between how each social media platform can be used to reach elected officials. Facebook is useful in providing information, photos, and video, as well as sending requests and messages of appreciation. 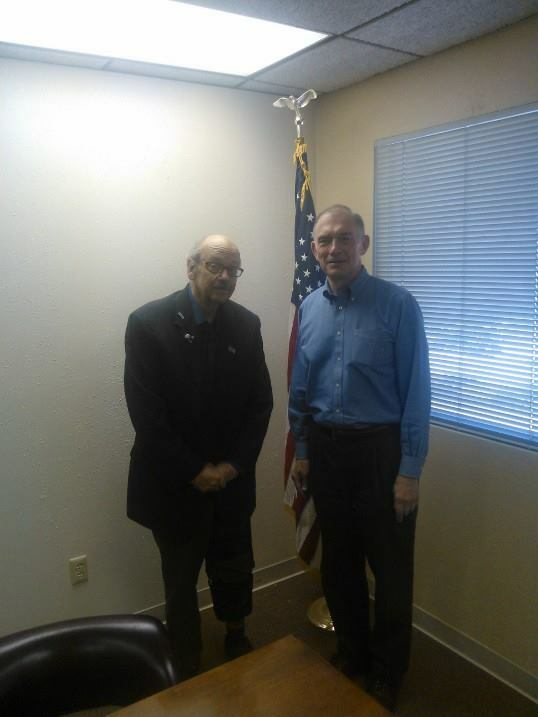 Twitter is effective for engaging in a conversation with your elected official. Commenting on Instagram can help put a face to your name and issue. Blogs are also a great tool to express your point of view or share an idea. You can use them to create original content, add photos and video, or host an opinion poll. Free, quick and easy, blogs platforms, such as WordPress and Tumblr, can give you instant visibility. Make sure you ask all your friends to like your blog and Facebook pages, and comments, and to share them. You can also share the page with general public, on other kidney pages, and in kidney groups to raise your circulation. By establishing constant contact with your elected officials and their staff, you can become a trusted source of information related to kidney issues and legislation. This trusted relationship can help you get attention when sharing content (I like to send my government officials links to posts on the NKF’s Advocacy in Action blog) or when you ask them to co-sponsor a bill. No matter what form of advocacy you choose, social media can make you more effective and give you a broader reach than other forms of advocacy. Questions? 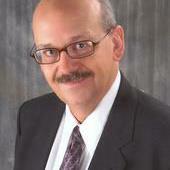 Contact me at kidneystories@hotmail.com or www.facebook.com/jamesmyers3. 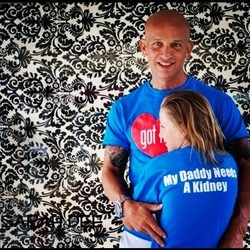 ​My good friend, Josh Morrison, wrote this article supporting kidney donors. It is worth a read. Please check out his web site, Waitlist Zero. Josh Morrison is a kidney donor and the executive director of WaitList Zero, a nonprofit devoted to representing living donors and supporting living donation. Each year in America, 35,000 people are added to the kidney transplant waiting list — 20,000 more than the number of people who actually receive one. There are more Americans who fail to receive a lifesaving transplant than there are homicides committed in the United States annually, yet there is more news coverage of gun violence in one day than there is of transplants in an entire year. The media attention that kidney transplant does attract often revolves around a tired debate about incentives framed by two unacceptable responses: Should we treat people like human vending machines and purchase their organs with cash? Or should we do nothing, repeat the words “pure altruism,” and let thousands of people continue to die each year? There’s a better way: a path of transplant support that treats organ donation like a public service and honors donors like public servants. That means giving donors lifetime health insurance to offset the risks of donation; providing them with annual research stipends to enable long-term follow-up; and paying for lost wages, travel and childcare expenses when they take time off to donate. It means making sure all patients and their families receive specialized education about transplants. The goal of transplant support is to make kidney transplants easy to ask for and easy to give. Right now, asking for a transplant is hard. As many as 80,000 patients who are eligible for a transplant are not even listed. Seventy-five percent of kidney recipients feel inadequately educated about live donation. Imagine asking a friend to borrow money; now imagine asking for an organ. It’s not an easy conversation, which is why education and ensuring donor health is so important. The risks of donation are manageable but real, and while scientific understanding continues to improve, it is still imperfect. Kidney donors accept these risks individually. But because their sacrifices aid us all, they deserve the best health care possible. They deserve lifetime health insurance and lifetime follow-up. Yet they currently receive no health-care guarantee — just two years of required follow-up by transplant centers, and no coverage for lost wages, travel and childcare expenses. Some say that kidney donation needs to be a “pure gift,” meaning donors should not receive different treatment for having donated. But by and large, these people have never given or received an organ. Treating donation as an isolated act of individual generosity imposes an enormous burden on recipients, who may unjustly feel guilty that they can never repay their donors’ generosity. Donors are proud to have been able to save the lives, and studies show that more than 19 out of 20 are satisfied with their decision. Donation is an act of public service that society should support and honor with tangible commitments, and donors merit the same level of respect given to police officers, firefighters, soldiers and teachers. But so far our society has displayed a thankless response in the face of those who give of themselves to save another’s life. Donors deserve better treatment than they have so far received. So why has such a crucial issue been given such short shrift? It’s not because the problem has been solved: 2014 saw the lowest number of living kidney donors — 5,537 — since 2000, when 50,000 patients were on the waiting list. Today, more than 100,000 are waiting, and the list grows each year. Transplant rates have stagnated, leaving more and more patients to perish on dialysis. It’s not because the cost is prohibitive: a transplant saves Medicare hundreds of thousands of dollars per patient and saves private insurers even more. Ending the kidney shortage would save health-care providers approximately $6 billion per year. And it’s not because the organ transplant shortage is a problem without a solution. There are solutions; we’re just not implementing them. If 1 in 10,000 Americans donated a kidney each year, there would be no transplant shortage. Supporting donation — making it better for the donor and easier for the recipient — will dramatically expand access to lifesaving organs. Right now, America is not providing that support. IT'S TIME TO TREAT ORGAN DONORS WITH THE RESPECT THEY DESERVE! A recent Avalere Health shows how some Exchange/Marketplace plans are shifting costs of immunosuppressive drugs to patients calling into question how those under age 65 whose Medicare coverage ends 36 months post-transplant will be able to afford their meds. ARE YOU IN DANGER OF LOOSING YOUR ANTI-REJECTION MEDS FOR YOUR KIDNEY? A television producer is working on a story about Medicare coverage for kidney transplants and immunosuppressive drugs. They are looking to report on the 36 month immunosuppressive coverage limit for kidney transplant patients below the age of 65. They are looking for a Medicare patient who is currently at risk of losing their transplant kidney because of a loss in coverage or a patient who has already lost their kidneys and had to go back on dialysis. Do you know anyone who is/or has been in this position? If so, contact Jerome Bailey at jbailey@aakp.org or call 813-400-2394. Thank you for contacting me regarding premium increases in 2016 for Medicare Part B and the Cost of Living Adjustment (COLA) for Social Security beneficiaries. I appreciate the opportunity to respond. Medicare is the federal health insurance program for most individuals who are sixty-five and older and for certain disabled persons. Medicare Part B provides coverage for physicians’ services, outpatient services, durable medical equipment, and other services. Part B is financed through a combination of beneficiary premiums and federal revenue. Many Medicare Part B beneficiaries also receive Social Security benefits. Contrary to popular belief, Congress does not determine annual Social Security COLAs. Social Security COLAs are determined by an economic formula that measures the increase or decrease in the price of goods in the American economy. This formula, the Consumer Price Index for Urban Wage Earners and Clerical Workers (CPI-W), is the sole determining factor of a COLA for Social Security recipients. In 2015, Social Security beneficiaries received a 1.7 percent COLA. However, in 2016 there will be no COLA because the CPI-W decreased. By law, Medicare Part B premiums, which are deducted automatically from Social Security checks for those who receive Social Security, must cover 25 percent of the projected annual Part B costs. The Social Security Act (SSA) includes a “hold harmless” provision that prevents premium increases should the amount be higher than their Social Security monthly benefit. While this hold harmless provision will prevent Part B increases for about 70 percent of beneficiaries, 30 percent of beneficiaries who are not covered by it must pay the portion that otherwise would have been spread across all beneficiaries. Each year, the Centers for Medicare and Medicaid Services (CMS) determines the Medicare Part B premiums for the following year. Reports that some beneficiaries will face a steep 2016 premium increase are based on a July 2015 Medicare Trustees report. The Trustees documented an unexpected increase in Part B spending that they estimate would cause premiums to rise. Since there will be no Social Security COLA increase in 2016, the Trustees estimated that the projected standard Medicare Part B premium is expected to increase from $104.90 to $159.30 in 2016 for those not protected under the hold harmless provision. Individuals not protected and thus subject to the increase are: those covered under both Medicare and Medicaid (“dual eligibles”); high income earners already subject to higher premiums; new beneficiaries; and those not collecting Social Security benefits. The law does provide CMS with some discretion in setting premiums, though CMS has not officially announced the 2016 premium amount at this time. I understand that steep increases in Part B premiums will place a significant burden on those Hoosiers who are not protected by the hold harmless provision. As a member of the Senate Finance Committee, I am closely monitoring the actions of CMS and I am actively engaged in examining responsible options to fix this imminent problem and to address long-term solutions to preserve benefits for current and future beneficiaries. Thank you again for contacting me, and please do not hesitate to keep in touch on other matters of concern to you. To learn more about the work I’m doing on behalf of Hoosiers, sign up for my newsletter, visit my website, and follow me on Twitter and Facebook. Thank you for your reply of 10/26/2015. I appreciate your thoughtfulness. I am curious what your position is on co-sponsoring, supporting and voting for the fix for this problem, S. 2148? Thank you again for such a prompt reply to my initial inquiry. I hope to see you in Washington, DC in March as part of the celebration for World Kidney Day. life and to those around him. Are the person who can give him back his life? kidneys. I do peritoneal dialysis every night for nine hours with a machine. a candidate for a kidney transplant. call you in soon for that kidney transplant. or they risk losing their new organ. the beneficiary is Medicare-aged(65) or Medicare-disabled. disability, lose Medicare coverage 36 months after the transplant. transplant, each covered again by Medicare. lack adequate insurance to consider transplantation. purpose of immunosuppressive drugs only. All other Medicare coverage would end 36 months after the transplant. Kidney Transplant Patients Act of 2013. The Senate version of the bill has been passed out of committee. Last week, I read a blog I found to be disturbing. Coupled with that, I received a note from one of my friends. costs of the anti-rejection medications. $2100/month cause people to decline the transplant option? the cost of anti-rejection meds. overweight. 6% said their doctors didn’t recommend it. but the program is woefully underfunded. life expectancy on dialysis on average is said to be 3-5 years. they had stayed on dialysis. hill, only to watch it roll back down, and to repeat this action forever. could come, the fight counted! to the attention of our legislators, because the CMS will listen to them. Otherwise, they will assume the cuts are not harmful and implement them. dialysis by 2% on April 1, 2013.
time when the number of ESRD patients continues to rapidly grow. on staff, which detracts from providing direct patient care. recommendation to maintain the current level of funding for dialysis in 2014.
assess the implications of the new payment system on patient care. potential closures. Fresenius operates 2100 dialysis centers in the USA. million drop in CMS dialysis payments next year. which the cuts were proposed. sustainability of the Medicare end-stage renal disease system." 3-4 percent (as estimated by the Medicare Payment Advisory Committee – MEDPAC). me. Where would that be? Chicago? Fort Wayne? amount of fluid they take off and the rate of speed at which they do it. patients with too little help and too little time. wonder if this would change too. Food for thought? well as to us. There are several ways to do that. letter that you can add your personal story to. sample points to make and they give you the numbers. Make sure to tell your friends and family to do the same! damaging effects on people with kidney failure. 85 percent of these individuals rely on Medicare for their dialysis care. proposes could reduce access to care or undermine quality. to cover the cost of care. I also urge you to emphasize this point to CMS. hand or courier delivery may be delayed and received after the comment period. Michelle Cruse, (410) 786-7540, for issues related to the ESRD PPS. Anita Segar, (410) 786-4614, for issues related to the ESRD QIP. provision related to the 3-year MLR for DME. of the definition of routinely purchased DME. KIDNEY STORIES: DOES THE IMMUNOSUPPRESSIVE DRUG BILL CONFLICT WITH THE RECENT BACKLASH AGAINST THE CMS SUGGESTION TO CUT FUNDING TO DIALYSIS PATIENTS? AGAINST THE CMS SUGGESTION TO CUT FUNDING TO DIALYSIS PATIENTS? starting our initial course of treatment on dialysis. http://www.bidmc.org/Centers-and-Departments/Departments/Transplant-Institute/Kidney/The-Benefits-of-Transplant-versus-Dialysis.aspx. 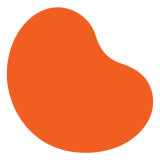 According to the NKF, 26 Million Americans have Chronic Kidney Disease. for the State of Indiana for the NKF, I would say this is incorrect. wait for a transplanted kidney across the U.S. to less than a year. http://www.kidney.org/transplantation/endthewait/index.cfm. legislation, education, awareness, prevention and treatment. https://www.kidney.org/about/strategic_plan/2013/. for kidney recipients, as under current law. https://secure2.convio.net/nkf/site/Advocacy?cmd=display&page=UserAction&id=115. immunosuppressive drugs after Medicare coverage ends. almost a $60, 000.00/year difference. ($83, 316 - $24, 612= $58, 704). https://nkfadvocacy.wordpress.com/immunosuppressive-drug-coverage/. from 8 to 12 years(96 months to 144 months). - See more at: http://www.bidmc.org/Centers-and-Departments/Departments/Transplant-Institute/Kidney/The-Benefits-of-Transplant-versus-Dialysis.aspx#sthash.wRrhXYBV.dpuf. life expectancy of a dialysis patient is five and six years. http://www.kidneyfund.org/kidney-health/kidney-basics/common-questions.html. for a kidney transplant. http://www.kidney.org/news/newsroom/factsheets/Organ-Donation-and-Transplantation-Stats.cfm. payment to dialysis providers by 9.4 percent. https://nkfadvocacy.wordpress.com/2013/07/03/medicare-proposes-deep-cuts-for-dialysis/#more-684. measures that facilities will start being measured on in 2014.
drug and alcohol dependence, tobacco use as well as others. on many of our patient and professional volunteers to weigh in as the experts. our final comment letter and activities around this proposed rule. https://nkfadvocacy.wordpress.com/2013/07/03/medicare-proposes-deep-cuts-for-dialysis/#more-684. patients continues to rapidly grow. will leave little room for new advancements in patient care. changes in law, which would reduce payment below MedPAC’s recommendation. new payment system on patient care. implementing. (2013-2018 Strategic Plan). https://www.kidney.org/about/strategic_plan/2013/. Have a cause, position, legal or political argument to make that effects the kidney community? Post it here! a cut may have on patient care across the country. cuts while still complying with the law. being measured on in 2014. KIDNEY STORIES: THIS IS A RECORDING OF A WEBINAR WITH DIALYSIS PATIENT CITIZENS ON ADVOCATING FOR KIDNEY AWARENESS ON SOCIAL MEDIA. DONE ON 4/11/2013. CHECK IT OUT, IT'S PRETTY COOL. is operated by the United Network for Organ Sharing. alike stress the shortage of living donors in particular. the University of Washington Living Kidney Donation program. donors was just 285 — 60 percent of whom were deceased. Kidney Centers, the nonprofit dialysis provider that serves Driscoll. “I said, ‘Oh, I can do that,’ ” Taniwaki said. generally a patient from their center who is listed on the national registry. as blood type and immune-system activity. four-night stay in the hospital, as well as a four- to six-week recovery period. before receiving the call that a compatible donor was found. volunteer for numerous local organizations. five years, of which she has been waiting about 16 months. blood pressure, with the obesity epidemic a contributing factor to the rise. said, leaves her feeling exhausted. drugs, as well as severely limit their fluid intake. tired. And I can eat,” she said, with a laugh. PLACE YOUR ADVOCACY STORY HERE!